Holiday Book Giving, World Book Day, and Summer Book Giving. 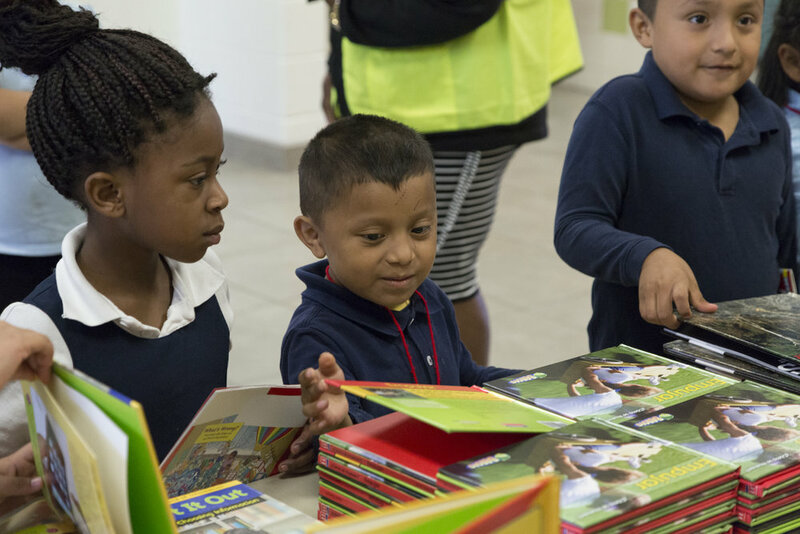 Community organizations and businesses host libraries with free books for kids. This helps us get books into communities we couldn’t access by working with schools.